There is good news for all the BMW enthusiasts, the newer version of BMW 5-Series will be launched as early as April end in India. So, all those who were planning to buy a BMW, the wait is over. This has come as a pleasant surprise for the market analysts, as the Indian version will be launched just a few months after the European version. The new sixth-generation BMW offers a host of new features and technology like, longer wheelbase (2968mm), an optional 40:20:40 split folding rear seats. The latest offering also has 520 litres of boot space. The latest offering from BMW will be launched with three CRDI diesel engines and four MPFI petrol engines. 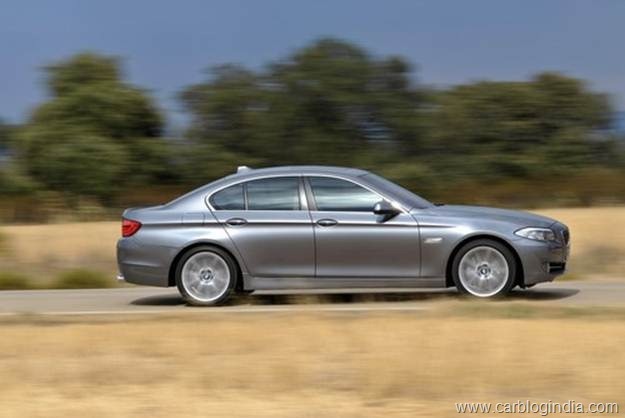 The diesel-model includes the 520d (fitted with a four-cylinder 2.0 L engine) and also 525d & 530d (both of which have a six-cylinder 3.0 L engine). Petrol variants include 523i, 528i & 535i, all of which are powered by a six-cylinder, except the top-of-the-class 550i which is powered by a 4.4 L, 407 horsepower, V8 engine. 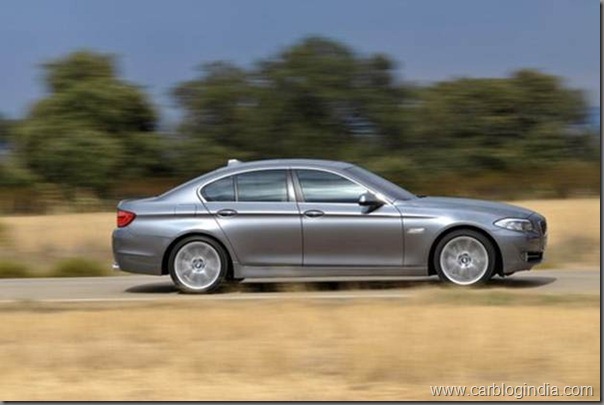 All the variants have standard 6-speed manual transmission while the 550i has an 8-speed automatic transmission. The new BMW 5-series is sure to give a tough time to the Mercedes E-Class, which has taken full advantage by launching its new and improved version in India before BMW. After the launch of new Mercedes E-Class market share of BMW is expected to drop, but now, with new BMW 5-series ready to be launched in April’10, so lets see how the game changes with the new offering from BMW. 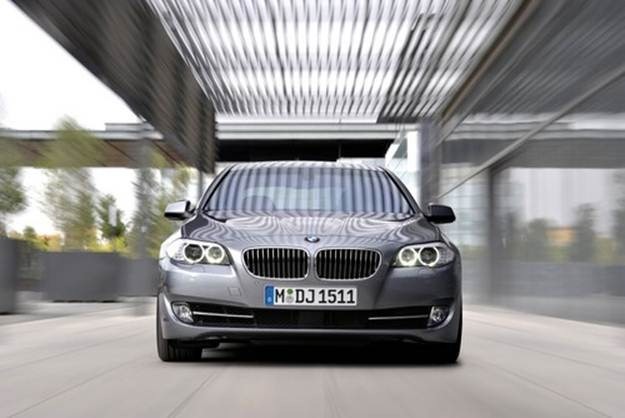 The price of the new BMW 5 Series is not officially announced, but its expected to be priced between Rs. 40 Lakh to Rs. 55 Lakh for various variants in this series.